This fat cat had installed herself amongst my friend’s art supplies, perhaps a hint that she herself was worthy of becoming art, and so I assisted in this feat. This entry was posted in Animals, cats, photos of animals, Uncategorized and tagged cat in the window, cats, images of cats on April 12, 2019 by lifelessons. Cats love of apricity is more than just a fluke. our cats for lying prone a lot in any ray of sun. A cat’s in need of toasting as much as any bun. the heat that we can give them, in summer, winter fall. with the full attention of a surrogate like you!!! Prompt words for today are vital, rebuke, apricity and imagine. This entry was posted in Animals, cats, photos of animals, Poem, poems about animals, Uncategorized and tagged bask, FOWC, images of cats, photos of cats, poem, Poem about cats, RDP, sunlight, Word of the Day Challenge, your daily word on January 14, 2019 by lifelessons. I’ve only had three hours of sleep. The young cats all wait patiently. and she wants to be fed! for this is her holy week. for she knows well her mater. by now, I’ll feed her later!!! This is the shrine to the Virgin of Guadalupe that the women were constructing in the hotel where we went for breakfast in Acapulco. Every night, we saw processions carrying their virgins to the church to be blessed. 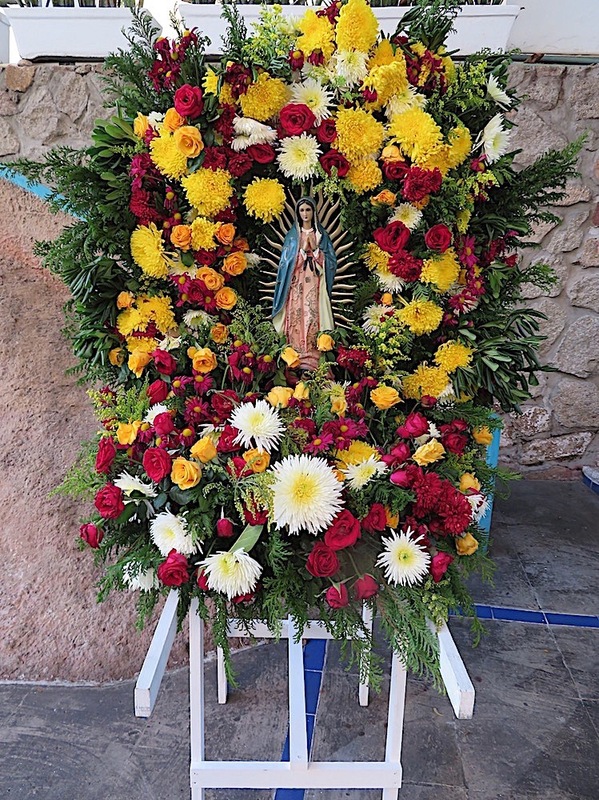 This is the twelve-day celebration to the Virgin that is practiced all over Mexico every December and what the very early church bells were about this morning. December 12th is her day and it is a bank holiday in Mexico. Five days to go. 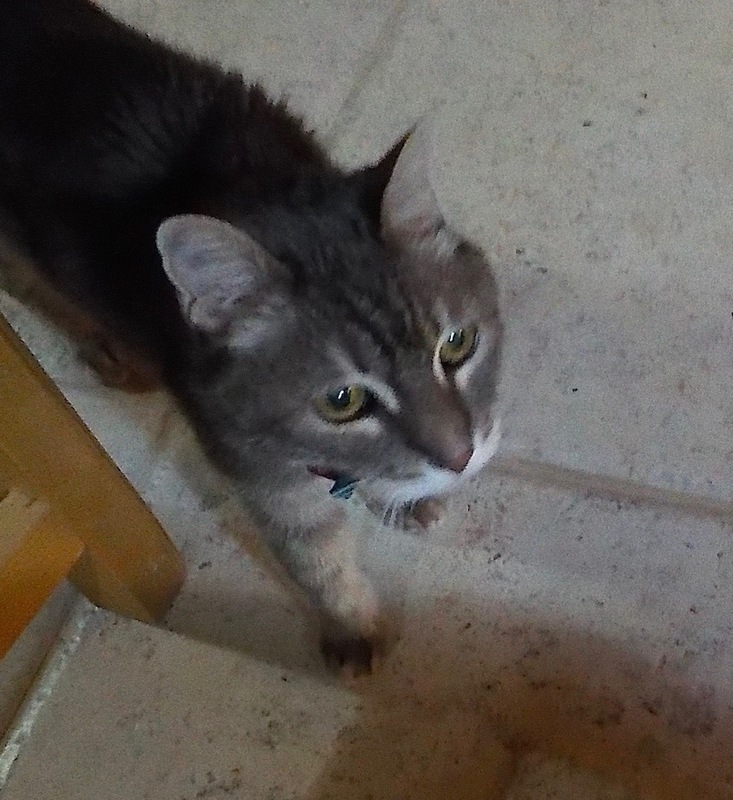 This entry was posted in cats and tagged Annie, early morning matins, poems about cats, Virgin of Guadalupe, your daily word on December 8, 2018 by lifelessons. Has Anyone Seen the Cat? For Cee’s Fun Foto: Funny. This entry was posted in animal images, cats and tagged Animal Images, cats, cats in unusual places, Cee's Fun Photo Challenge, Funny photos, kitten images on November 21, 2018 by lifelessons. There is no contest as to who rules at my house. Please click on the first photo to enlarge photos and see the full story of leadership in my domain. they have various methods of attracting my attention. They might sit on my lap, for instance. or try less subtle means of attracting my attention. See this ‘to do” list? Does it happen to have feeding time on it? In time, their methods will be less subtle. And no fair switching to your other keyboard!!! It’s easier just to serve their needs at the offset. For Weekly Prompts, Ruling the Roost. This entry was posted in cats, Photo Challenges and tagged cats, images of cats, Kittens, Weekly photo prompts, weekly prompts on November 17, 2018 by lifelessons.